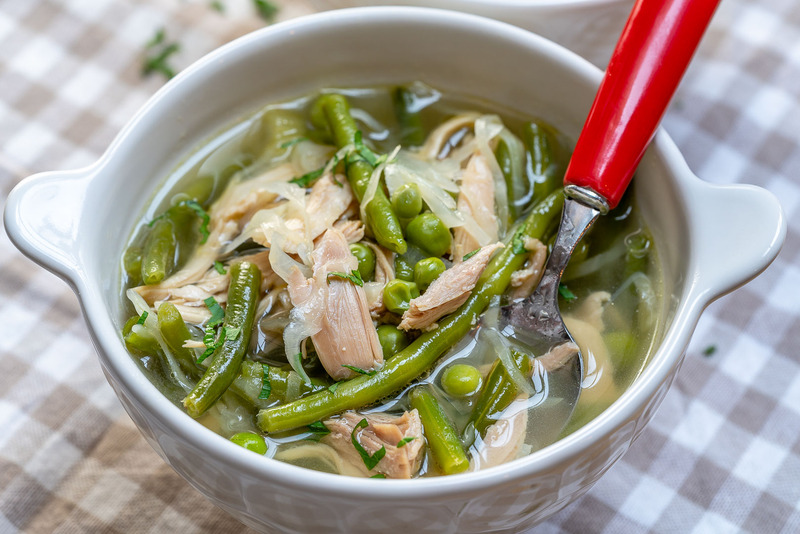 Eat this Cabbage Detox Chicken Soup to Reduce Bloat and Shed Water Weight! No, I’m not suggesting that you should eat nothing but cabbage soup for the next week. 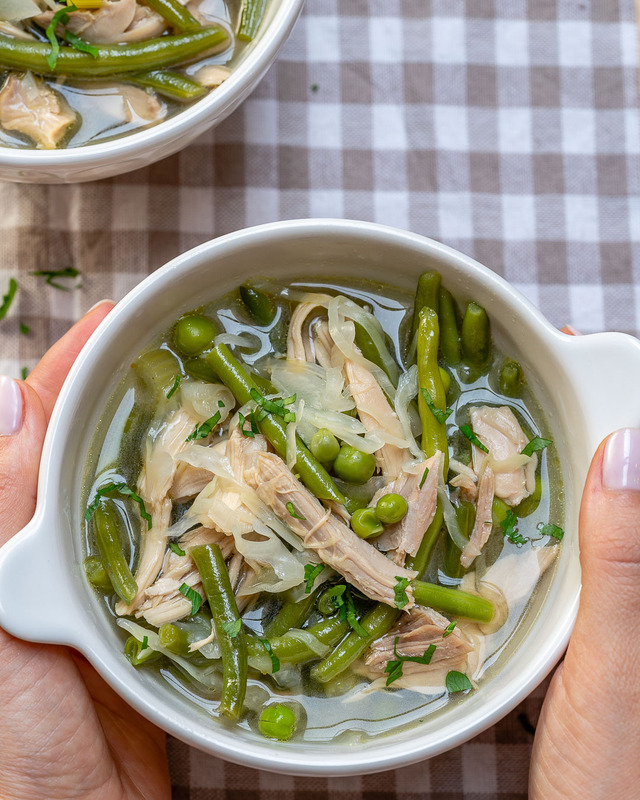 I’m just sharing a recipe that contains all the good stuff in terms of adding tons of nutrients, and fiber into your diet while also being super satisfying/filling and low calorie to boot! Who doesn’t NEED these things during this holiday season!?? 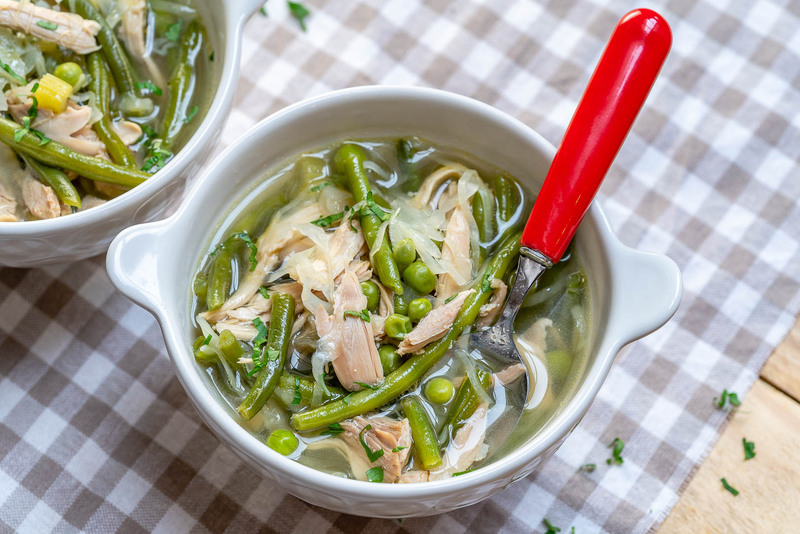 Each of the ingredients in this soup were selected because they contain incredible healing, digestive, weight loss, and disease-fighting capabilities in my opinion. 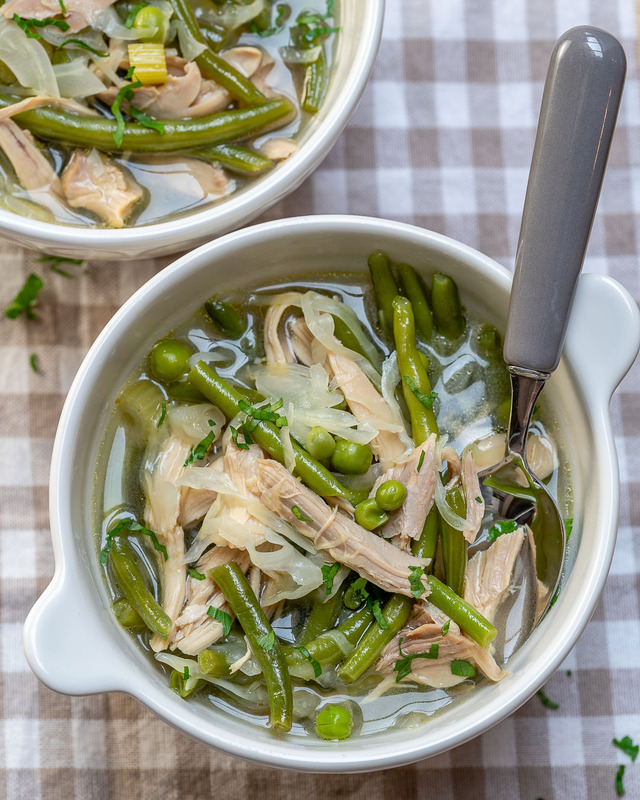 Cabbage is the star of this particular soup. Cabbage is a very underrated vegetable. In terms of price per cup, a report by the Department of Agriculture (USDA) has shown cabbage to be the second most economical cooked vegetable in terms of price per edible cup. Heat oil/ghee in a large stockpot over medium-high heat. Add cabbage, celery, and diced yellow onion then saute for about 4 minutes stirring often. Stir in peas, green beans, garlic, and ginger then cook for another minute or so, until fragrant. Add broth, bay leaf, and chicken or turkey meat then simmer until veggies are cooked through about 20 minutes. Add freshly squeezed lemon juice of 1/2 a small lemon, then give everything a gentle stir. Garnish with fresh chopped parsley/cilantro and serve warm. 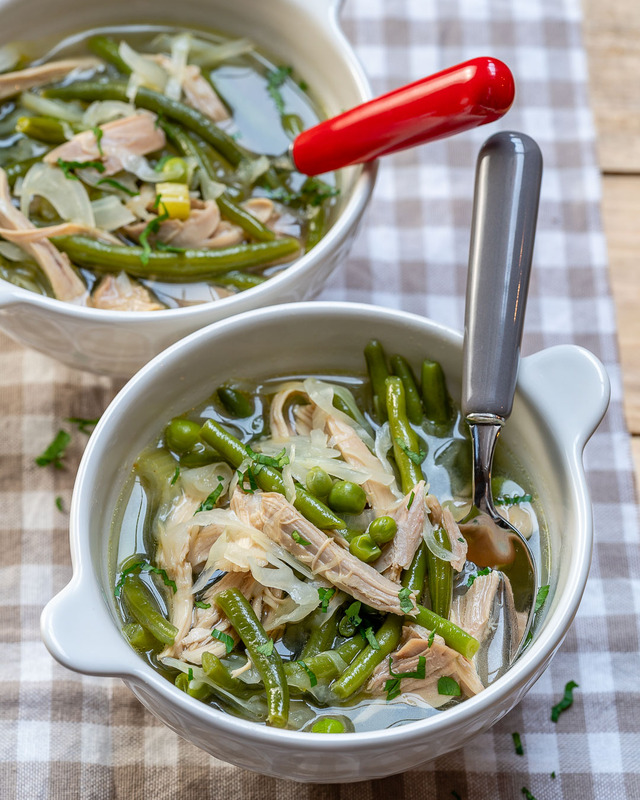 This soup lasts for about 4-5 days refrigerated, so I’ll often make a double or triple batch for the whole week because as with most soups, it’s even tastier the next day! 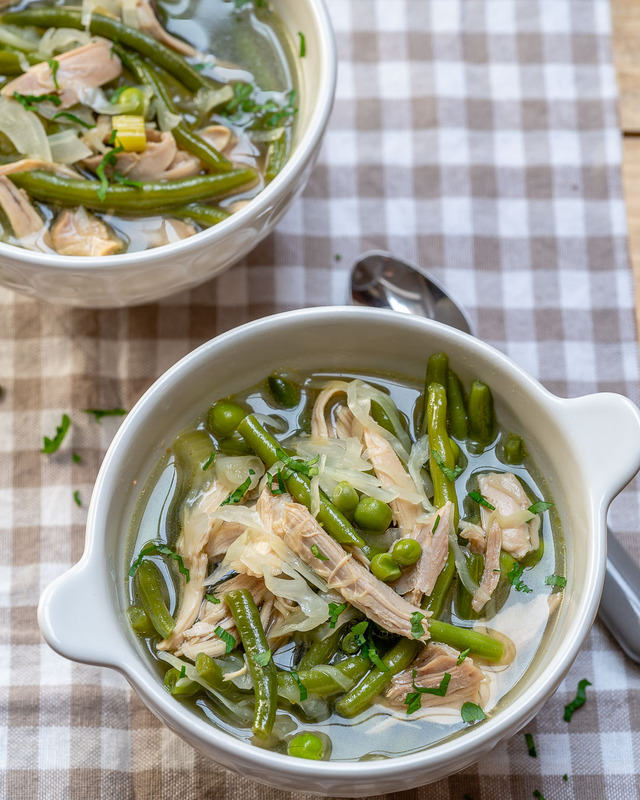 You can also freeze this soup for 6-8 weeks. 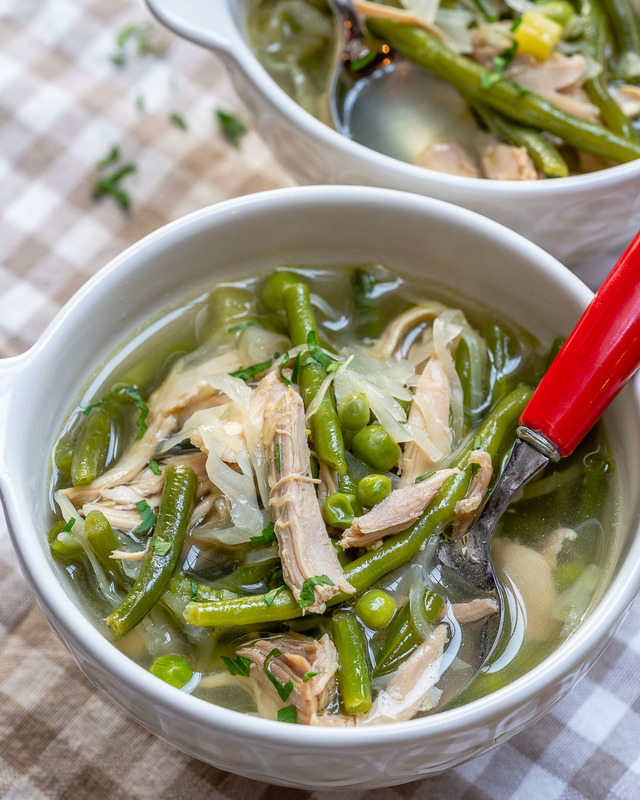 Eat this Cabbage Detox Chicken Soup for Reduce Bloat and Shed Water Weight! 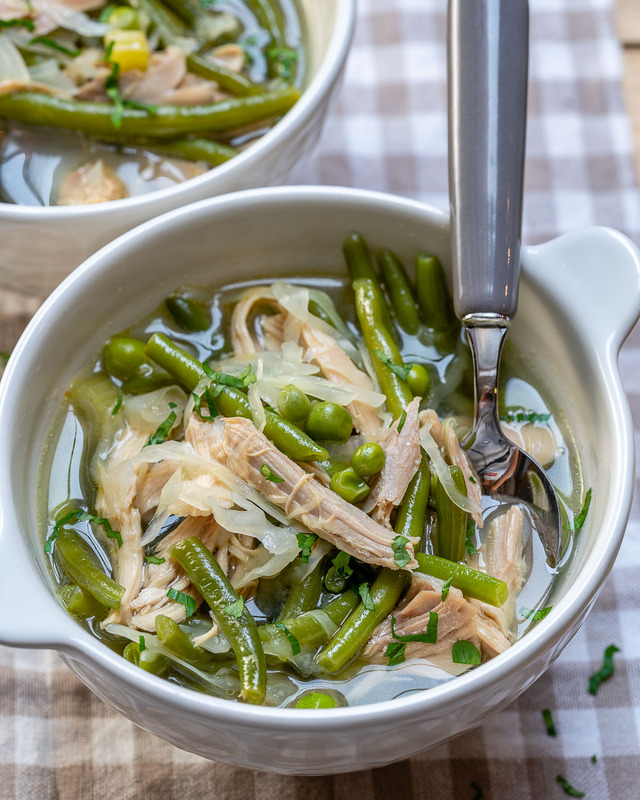 This soup lasts for about 4-5 days refrigerated, so I'll often make a double or triple batch for the whole week because as with most soups, it's even tastier the next day!